Product Consists : 2 Bar of Toblerone Chocolate (Weight : 50 Gms each), Home Made Chocolate (Weight : 100 gms) I Love You Table Top Photo Frame (Approx Photo Size : 9 inch Height and 14 inch Length), Two Layer Bamboo Plant in Small Bucket. On this Valentines Day make your special someone delighted with this delightful valentine combo of Toblerone chocolate bar and homemade heart shape Chocolates, photo frame and good luck bamboo plant. 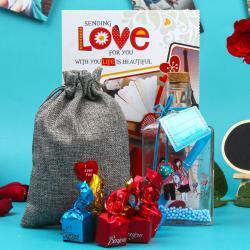 The Rectangle shaped table photo frame has I love inscribed on its top. Send some good luck and love with two layers Bamboo Plant in lovely bucket. 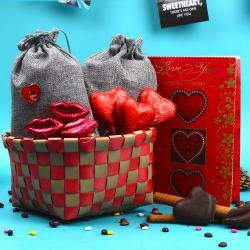 If your love partner is chocolate lover then this hamper will definitely impress them. 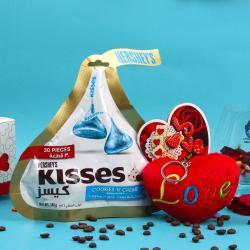 This gift combo is best for giving on Valentines Day. So go ahead book your order now. 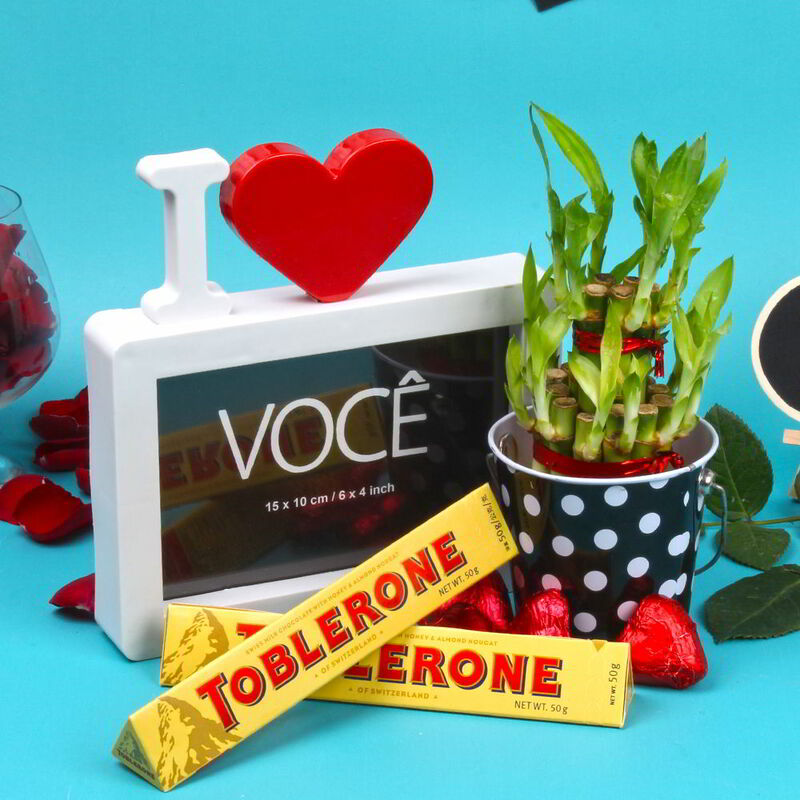 Product Includes: 2 Bar of Toblerone Chocolate (Weight: 50 Gms each), Home Made Chocolate (Weight: 100 Gms), I Love You Table Top Photo Frame (Approx Photo Size: 9 inch Height and 14 inch Length), Two Layer Bamboo Plant in Small Bucket.